September 14 - October 14, 2019. Morgan Fine Arts Building, Greenpoint, Brooklyn, NY. 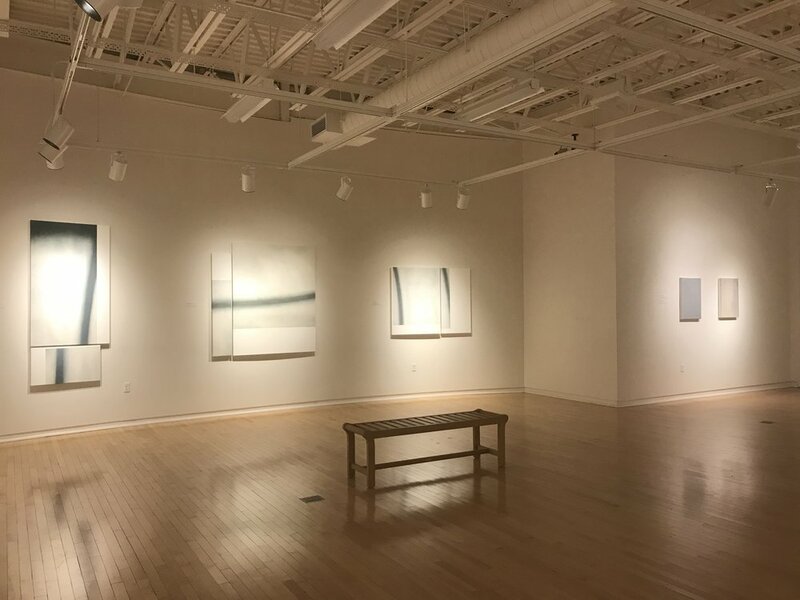 Baer Gallery, St. Norbert College, De Pere, WI. Hyperlink, a Denver-based artist collective, is interested in fostering meaningful connections between artists, curators, and institutions by way of organizing exhibition exchanges in partnering communities. The collective approached me to curate one such exchange. By exhibiting alongside artists in different communities, a dialogue is created between artists through geography and their work. Hyperlink's mission of "collapsing geography" influenced the utilization of the concept of duality to build connection and cohesion through the juxtaposition of binary, opposing, and complementary elements. Read more here. The aim of this project is twofold: in an effort to highlight artist-led initiatives and the role of community in artist-run projects, Young Space invites artists to participate in an exhibition that will coincide with the completion of a remodel of the venue space at Standard Projects. Sizable emphasis is placed on the ideas of collaboration, connection and community. It also aims to emphasize the arts' ability to bring people together, via the Internet, by generating dialogue, working with our hands, and testing the boundaries of how art may be experienced -- especially focusing on artistic development away from the city center. A followup publication produced by Young Space is planned, further exploring these themes. More information at yngspc.com/settling-the-ghost. Installation view, Matthew Bakkom: Yesterday's Parties, June 24 - August 6 at Match Factory. In May 2016 I co-founded an experimental contemporary art space with artist Claire Abitz of Standard Projects in the semi-rural village of Hortonville in Northeast Wisconsin called Match Factory (the name is derived from Hortonville's historical claim that it was the site of one of the first match light factories in the world). 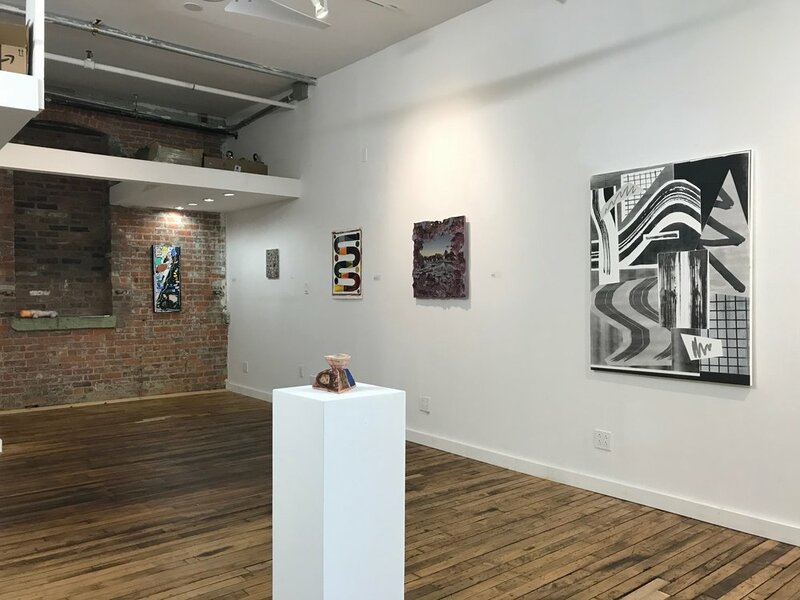 By transforming an old diner into a fresh and unique space that highlights the history of the building and its town, I coordinated a program of exhibitions and events that gave artists the opportunity to develop new work. 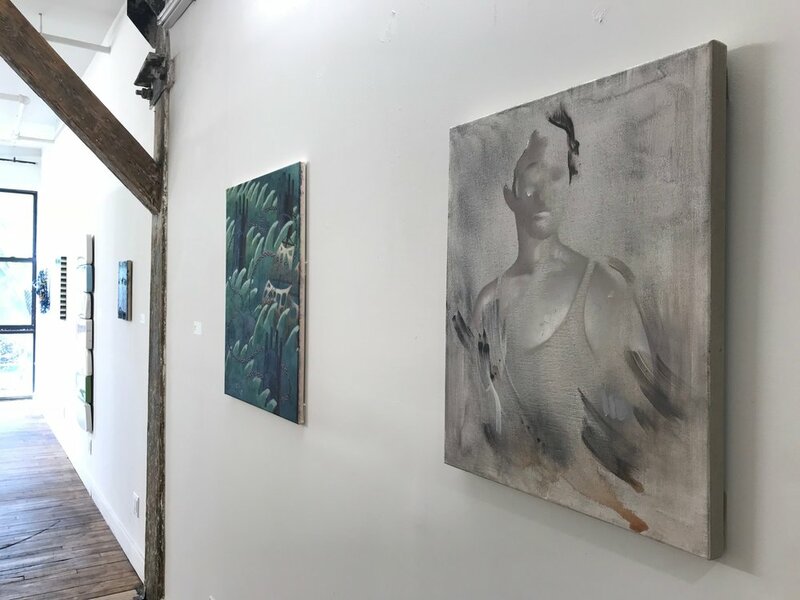 In its short life, Match Factory featured a small dual exhibition featuring Wisconsin artists Sara Willadsen and experimental video artist duo Cyber Bullies, as well as a summer exhibition of new work by Matthew Bakkom (UW-Madison). The space was forced to close in August 2016 due to unforeseen circumstances. A great gallery of the images from the short life of Match Factory can be found here. Installation view of Here & Away; Ethan Aaro Jones (left) and Barbara Diener (right). This exhibition was curated for a month-long exhibition of contemporary photography at the ARTGarage in Green Bay, WI. It featured work by Max Cozzi, Barbara Diener, Ethan Aaro Jones, Nathan Pearce, Adam Turner. The second pop-up exhibition of contemporary art by emerging artists ran from March 18 - 27, 2016 in a vacant retail space in Green Bay, WI. It featured work by nearly two-dozen artists from around the country. The first pop-up exhibition ran April 10-26, 2015 in Appleton, WI in a vacant storefront formerly used as a bakery. The opening reception welcomed over 200 visitors, and the show included work by local, national, and international artists in a variety of media.